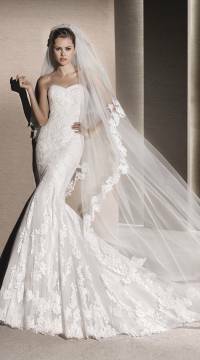 Mermaid wedding dress in tulle with guipure appliqués. A body with a sweetheart neckline and draped with tulle. 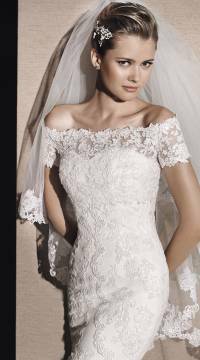 Tulle overlay with guipure appliqués, strapless and with off-the-shoulder neckline.